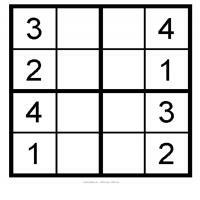 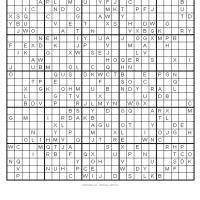 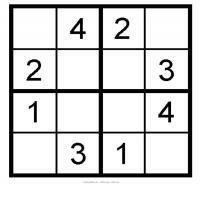 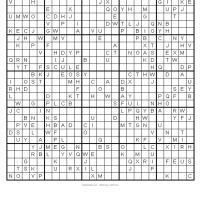 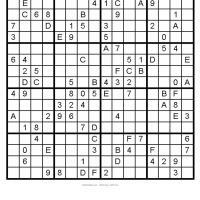 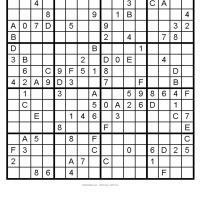 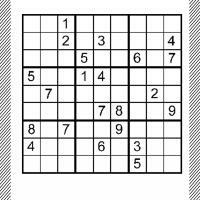 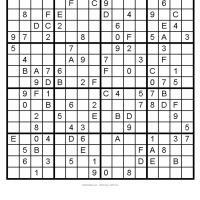 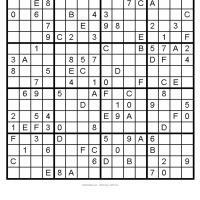 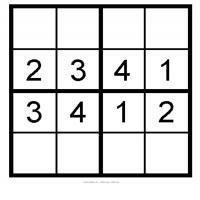 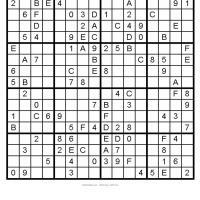 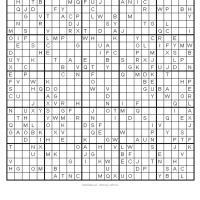 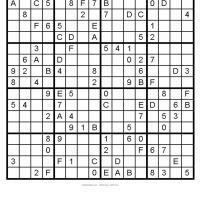 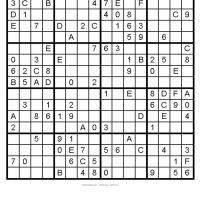 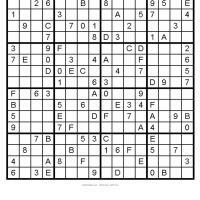 Search our wide selection of printable sudoku puzzles. 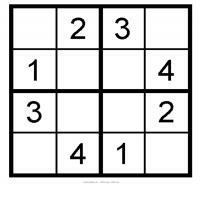 Enhance your logic through these sets of sudoku number puzzle games. 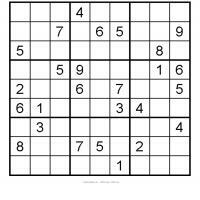 The objective of the game is to fill the grid, so that every row, column and blocks contains the digits only one time each. 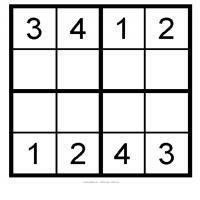 The digits to use depends on how many cells are there in a row. 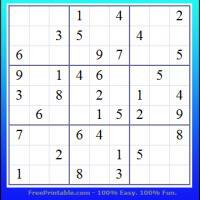 We have printable sudoku puzzles in different levels of difficulty, and different sizes of grids that will suit your expertise. 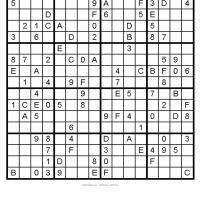 Have fun and print one of these great puzzles now. 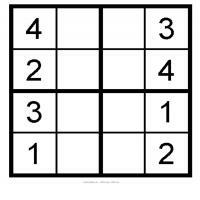 Are you a whiz at math? 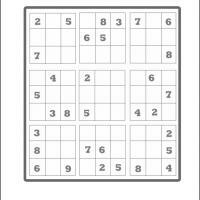 If you love being analytical and solving math problems, then you are sure to enjoy doing our printable sudoku puzzles. 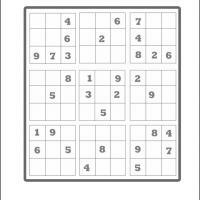 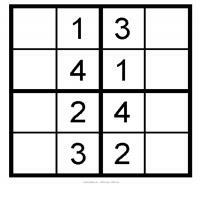 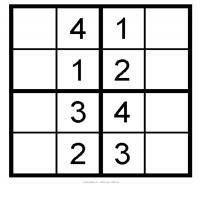 We feature a broad selection of high quality printable sudoku puzzles for you to print. 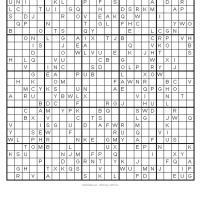 They are great for an every day activity, or just to pass the time when you need a mentally stimulating task to do. 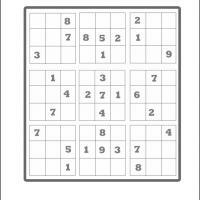 These printable sudoku puzzles are sure to keep you on your toes mentally, because they are quite challenging. 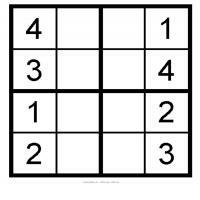 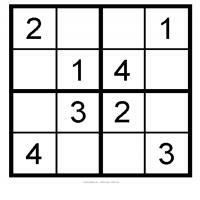 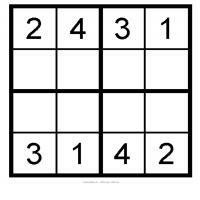 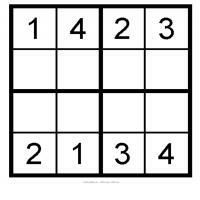 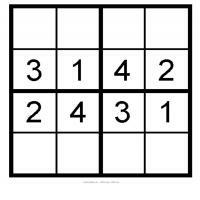 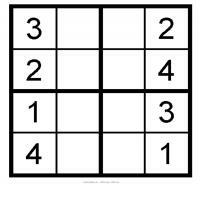 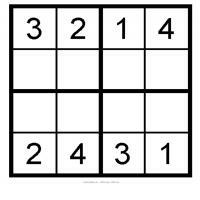 Print out one, a few, or all of these printable sudoku puzzles if you would like. 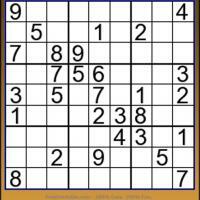 They are entirely free of charge, so you do not need to limit yourself. 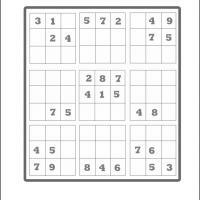 Printable sudoku puzzles are a great deal of fun. 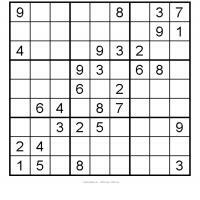 They can be a wonderful activity for the whole family to do together. 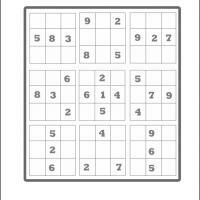 Spend some quality time with your family members as you tackle these challenging math puzzles. 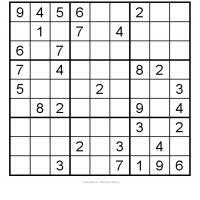 Even though they can be tough, they are great for your mind, and fun too! 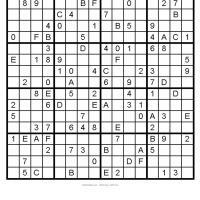 Look through our other amazing puzzles, as well as invitations, music sheets, coupons, and much more.